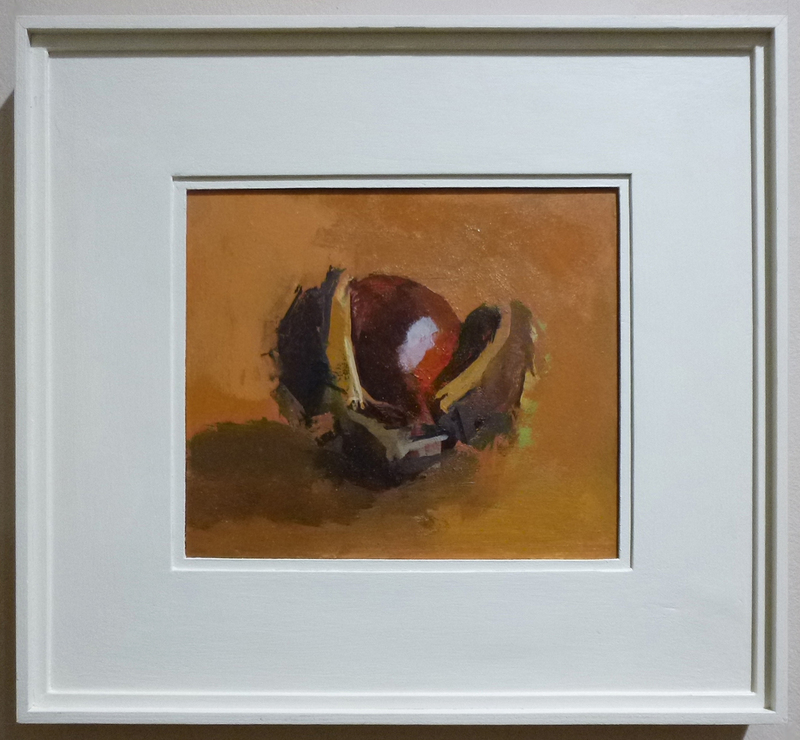 Robert Dukes is a representational artist, a lecturer at the National Gallery & tutor at the Royal Drawing School, who paints a wide range of subjects (with a focus on still life and paintings based on Old & Modern Masters). 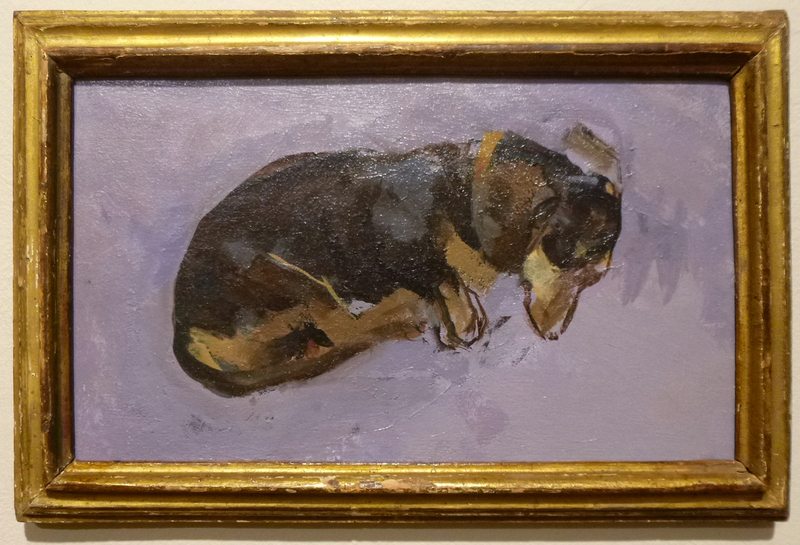 He regularly shows in the Royal Academy Summer Exhibition, and has had a number of solo exhibitions at Browse & Darby. The Frame Blog: One of the most striking arrangements in your recent exhibition at Browse & Darby was this wall (above) with three of your Allsorts paintings (which are tiny – 3 ¼ inches high) hanging in three very different frames. It seems to sum up your approach to framing your work, and I wondered if you could explain why these related pictures have such very varied settings? Robert Dukes: My exhibition is arranged by subject matter – and I hadn’t seen those three paintings together before (the painting on the left had been at Browse & Darby for over a year and I’d totally forgotten how its frame looked) – it was a bit of a shock to see how disparate the frames appeared. The rest of my exhibition is more consistent – I mean antiques frames on one wall, new frames on another. 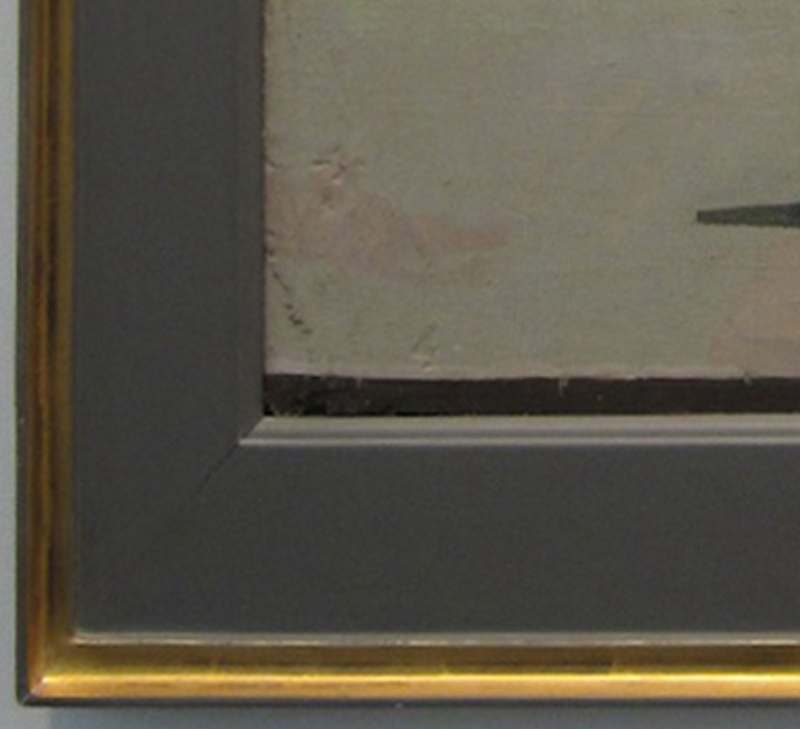 FB: When and why did you start framing your paintings in this way – with your own hand-made and with antique frames? I first became interested in antique frames when I was working in the National Gallery shop, especially after Nick Penny published his little book about the frames there (Pocket Guides: Frames, 1997, reprinted as A Closer Look: Frames in 2010). 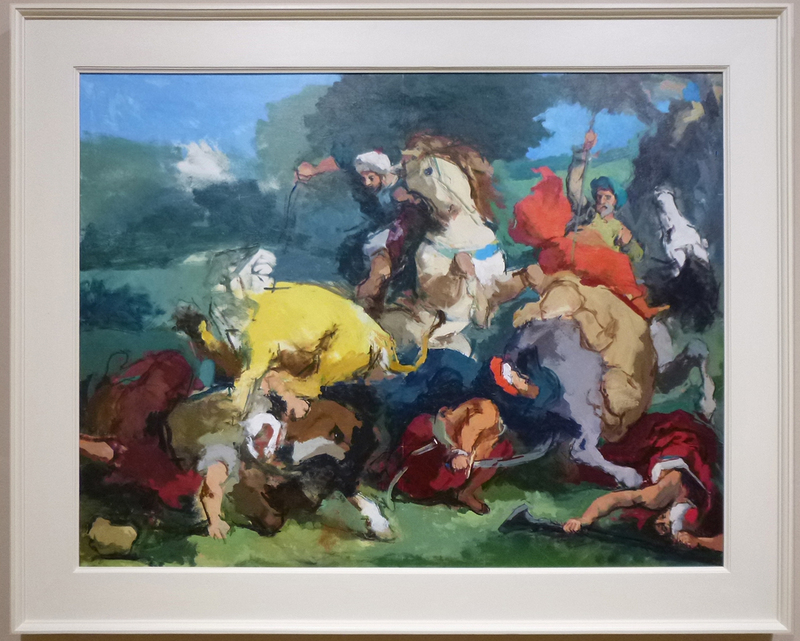 I started buying from Bonhams around ten years ago – it’s a great shame they’ve stopped doing frame auctions. Over time I’ve found frames from other sources – and hopefully become better at judging which frame works with a particular painting too. Susan Moore’s interview with Heinz Berggruen (published as a booklet by Arnold Wiggins: Framing Modern Masters, 1991) has had a big influence on my attitudes to framing. It’s hard to find now and it would be great if it could be published online. FB: Most contemporary artists seem happy either to go to a high-street frame shop, or to leave their paintings unframed. RD: Some painters’ work does look better unframed- however my paintings are very small and even a reasonably proportioned moulding can double the area of the whole ensemble. Really small paintings can look like postage stamps on gallery walls. I’m sorry to say I think most high street frame shop mouldings are crude and ugly. FB: The frames you make yourself are linear and geometrically pure close up, with stepped mouldings and a very wide frieze; from further away they can make the paintings look a little like framed watercolours in card mounts. Is this effect deliberately ambiguous? RD: That’s interesting, I hadn’t thought of that at all! No, they are just meant to be very simple, almost like a Louis XVI baguette (above) stripped down to an even more basic form. Most of them are painted a neutral bone colour, which works well on Browse & Darby’s slightly off-pink colour walls, and hopefully in most other settings as well. FB: You combine antique frames with your own coloured inlays in some works, creating an interesting tension between old and new. RD: Sometime the antique frame moulding is a little too narrow for a given painting- but right in every other aspect (i.e. profile, patina etc)- so rather than cut it down to the exact size of the painting I make a slip and then spend an inordinate amount of time trying to decide what colour to paint it. 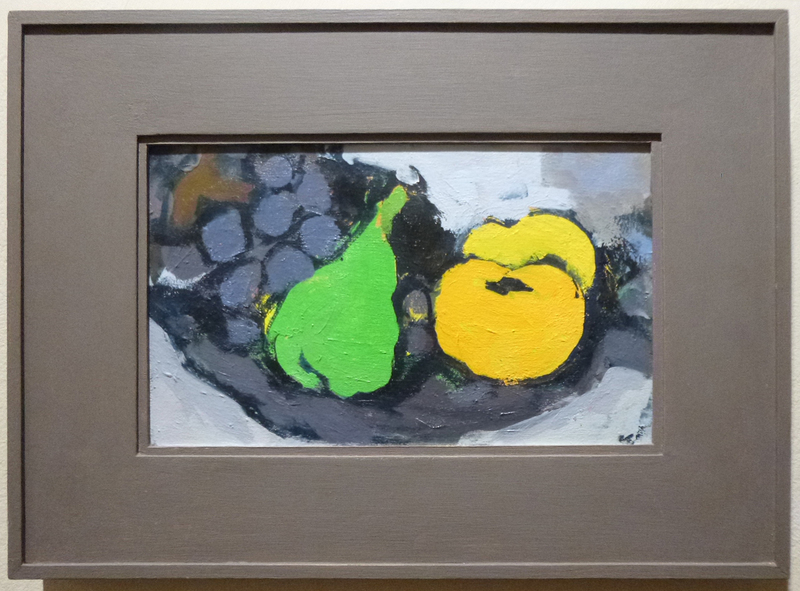 The slip has to ‘agree’ with both the painting and the frame, while not being too prominent- it sometimes takes days of mixing different colours to get anywhere near right. FB: Where do you get your antique frames? How do you choose them? RD: From a variety of sources, including auctions – I’ve recently been to an auction at Rosebery’s in West Norwood (London) after a couple of frames. I have found over time that simple mouldings without any decoration generally work best on my work. Cost is of course a major consideration. The type of frames I like best – for instance 17th-18th century Italian bolection and Roman profile types (above) – are way beyond what I could afford, and would probably look too grand anyway. FB: You have several antique silvered frames, rather than gilded, in this exhibition; do you use the colour of the frame in a very conscious effort to complement or contrast with the overall hues of the painting? After all, gilding was the overall finish for hundreds of years, whatever the picture it surrounded, and in 1847 the Royal Academy Council agreed that ‘None but gold frames can be admitted’, a rule which endured until 1920. RD: I didn’t know about that (the Royal Academy ruling). Perhaps the silvered ones work well because they are a neutral mid tone – I mean they don’t contrast or clash with the colours and tones in the paintings. I don’t know why they work sometimes to be honest. Just like when you’re painting, you can spend ages mixing a colour but you don’t know if it works until you put it down. 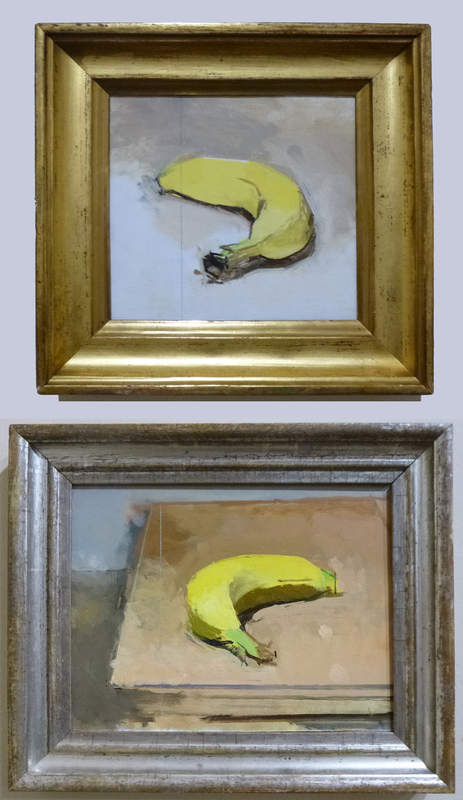 FB: The finish certainly makes a vast difference, as we can see from two of your paintings with a very similar subject, Banana, of 2009 and 2011. RD: For me the silvered one works better. FB: You have a number of 19th century hollow or scotia frames, with simple mouldings, which add a further classical gravitas to your work. 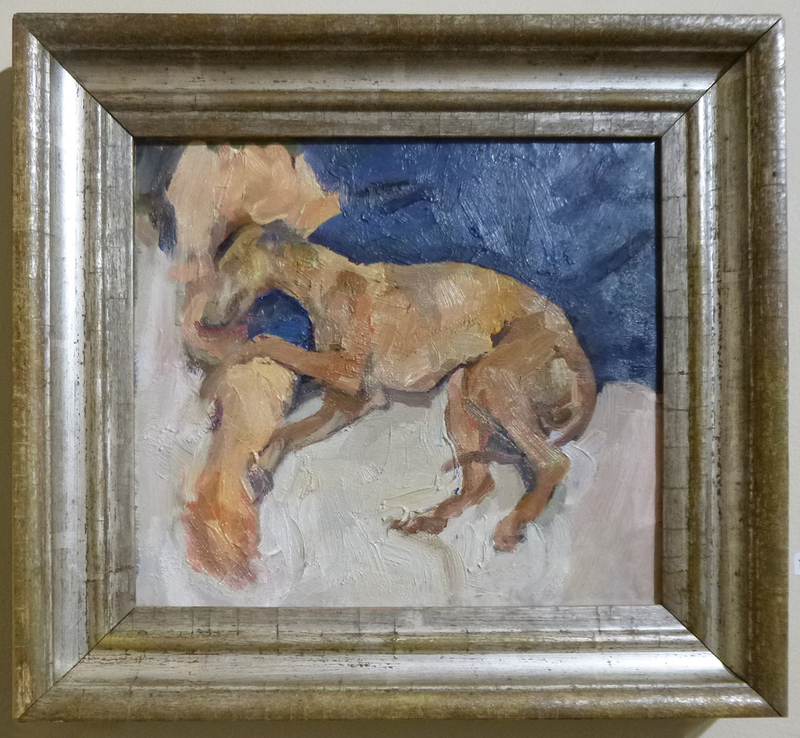 I noticed, however, that one of the paintings after Balthus (above) has a later canted frame which the artist himself might quite well have approved, while – on the other hand – I’m not too sure what Delacroix would have made of the way you’ve framed your painting after his Lion hunt (below)! Are you using the style of the frame relative to the picture in a sort of game, or is it an ironic comment on the contents – or on our expectations? RD: I was very happy with the frame on the Balthus landscape – the worn gilding and orange bole work very well with the autumnal colours in the painting; better still, the flat canted profile echoes the gable shapes in the painting, especially at the corners. However the same moulding on the any of the still-life paintings would have looked harsh and rigid. RD: I suppose so – it would have been nice to stick Caravaggio in a 17th century cassetta or walnut bolection frame, but I couldn’t afford to do that. 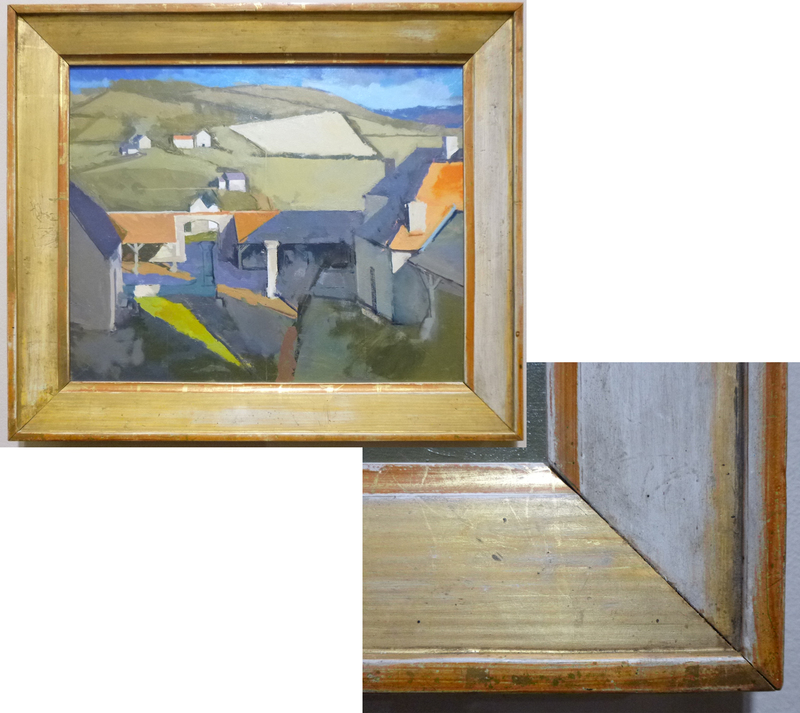 Georges Braque did all sorts of interesting things with frames such as taking an antique frame and painting over sections of it. FB: I wonder whether you know Mark Ryden’s work? He paints rather surreal and Gothic pictures, and designs individual frames for them, many of which are hand-carved for him in the far East. Obviously, that’s an extremely expensive option, but might you consider carved or otherwise ornamental frames for your paintings? Or do you think that frames should be restrained to colour and line, to give the greatest possibly importance to the image? 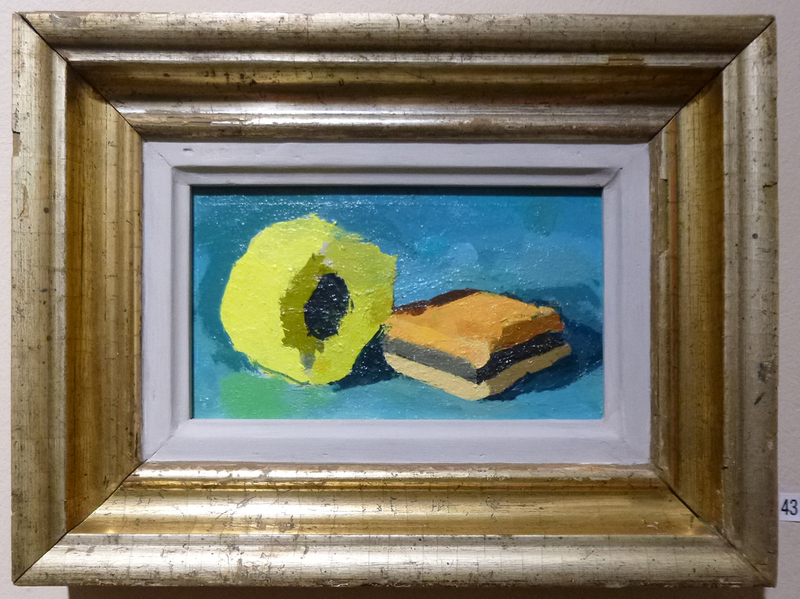 RD: The frames he’s chosen work well with his detailed imagery – but would be too elaborate for my work – and besides, I enjoy finding existing old frames that work with my paintings. FB: You lecture in the National Gallery, and also worked in the shop there for some time; what do you think of the frame collection? Have you got a favourite frame? RD: Yes, lots! 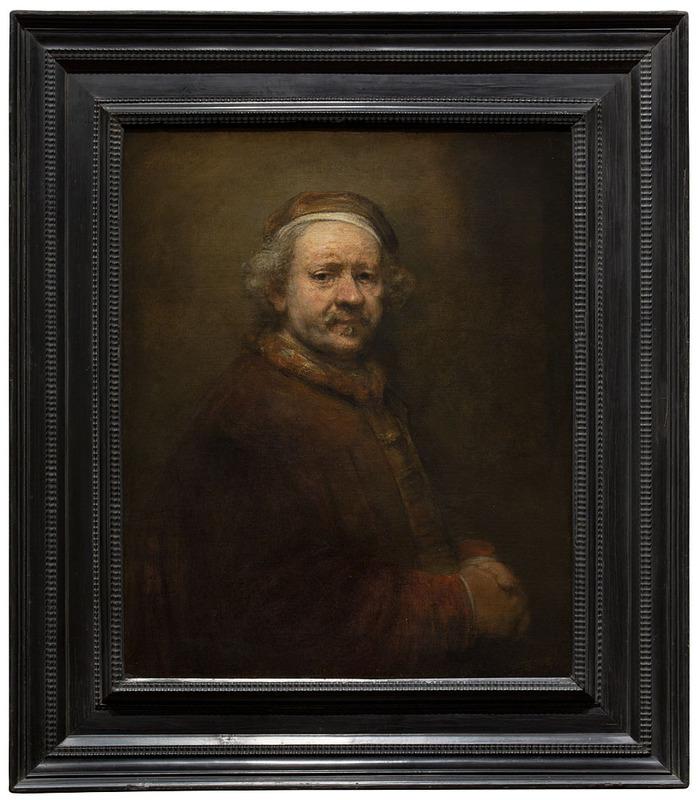 And it’s been marvellous seeing Nick Penny and Peter Schade putting better frames on the paintings over the last ten years – a good example would be the late Rembrandt self-portrait (NG 221), which used to have a gilded Louis XIV type frame, and now has a dark wood Netherlandish frame – a huge improvement. Corot’s Avignon from the West (NG 3237) is one of my favourite paintings in the National Gallery, and I think the Italian frame works perfectly on it. FB: I recently interviewed Peter Goodfellow on his use of frames as integral to his work. Do you think that two artists with almost simultaneous exhibitions (you and Peter Goodfellow) might be a small indication that artists are becoming aware again of the frame, and its importance to the painting not only visually, but in the sense of the tradition it looks back to, and the expectations it raises? 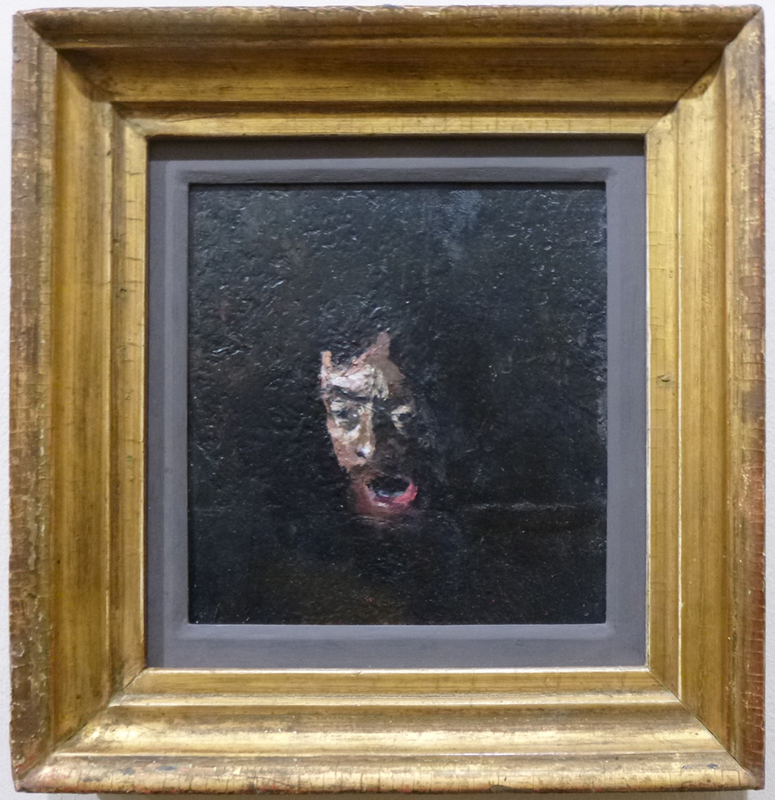 The long history of the frame, which we are half aware of as we move through different periods in an art gallery, gives a valuable tool to the artist in terms of how it makes us regard a particular painting, and he or she can use that in the painting as a support, or undermine it to subversive ends. RD: I hope so – there are all sorts of valid and interesting possibilities, as you suggest. 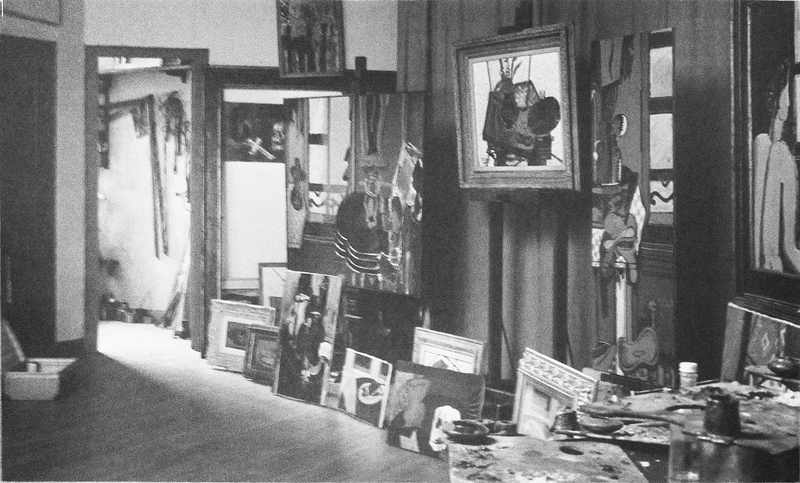 I suppose for people such as William Rubin in New York’s MOMA, removing frames altogether was partly to do with trying to emphasise the flat picture-plane quality of modern art. For me, the best painting of last 150 years has pushed the tension between three-dimensional representation and the flat surface of the painting, and as a result my intentions for how a frame should work are slightly different than for instance Peter Schade’s aim of ‘intensify[ing] the illusion of space’. With thanks to Robert Dukes for his time, and for all the images. It sounds as though you have a frame that was gilded with silver leaf and then sealed with shellac or varnish tinted with gamboge or dragon’s blood giving the effect of gold leaf for a fraction of the cost; these were not uncommon and typical of more mass produced moldings. I bought some old 19thC frames but they had been sprayed with gold paint unfortunately. I gently used paint remover nitro morse but it seemed to take off the gold leaf underneath leaving silver and the grey bole. They looked distressed and that worked for me but was disappointed to loose all the gold . Did they use silver under the gold leaf ? Another fascinating interview! Thank you. Thank you so much, Fran! – how kind of you!